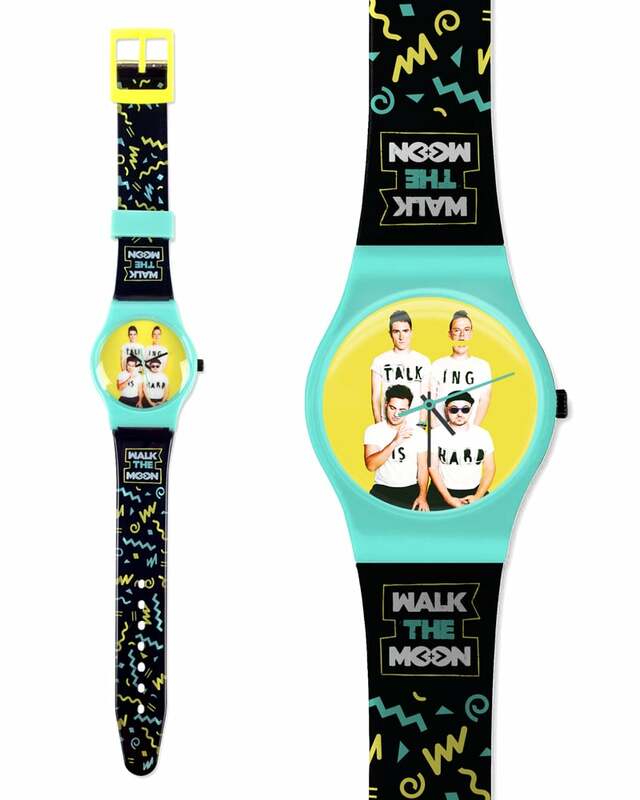 Earlier in the touring cycle for Talking is Hard, my buddies in Walk the Moon's team asked me for new ideas for merch items; novelty products that other bands aren't regularly selling, and would do well with their audience. I came up with this idea to do plastic, 90's-style watches, for which I also created a custom pattern for the wristband, inspired by the patterns you'd see on Nickelodeon. Needless to say, I've never designed a watch prior to these, and had a blast putting it together. You can grab one right now in the band's online store! 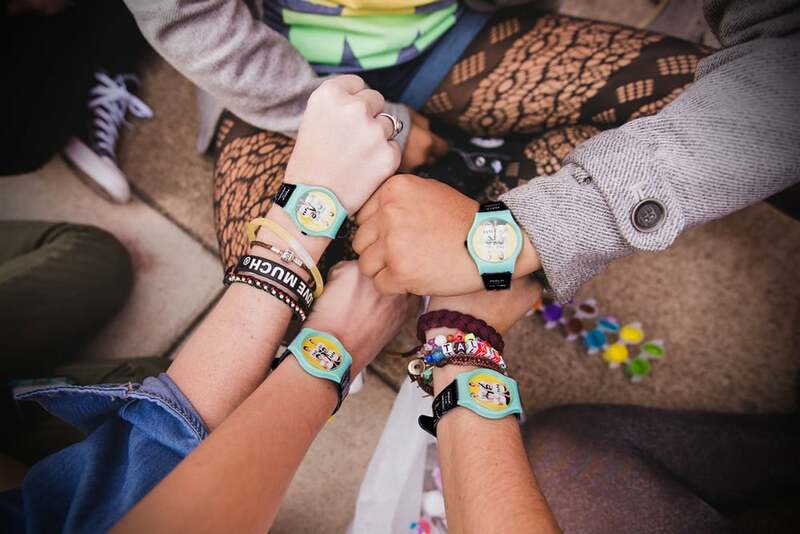 Special thanks to the band's tour photographer Anna Lee for the photos of fans wearing the watches.